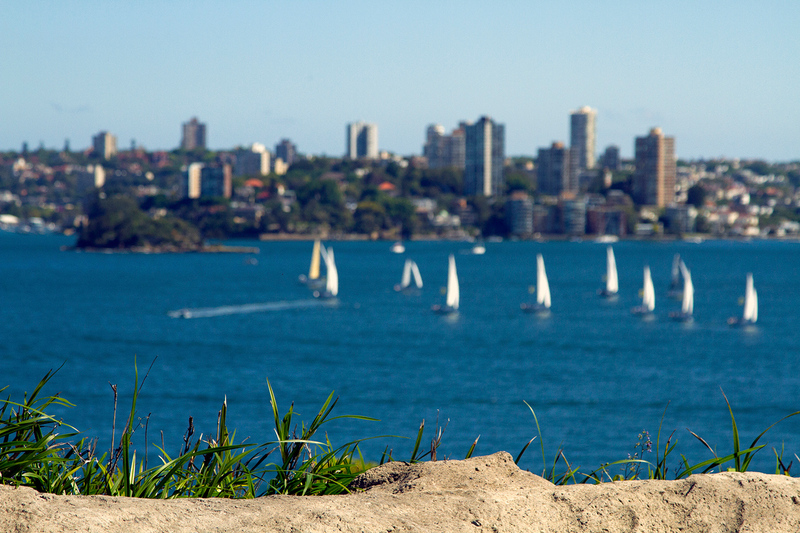 Boats sailing across Sydney Harbour. What are your resolutions for 2017? Do you even keep resolutions? I’ve heard of people swapping them out for goals or “affirmations” – but I’m a traditionalist. I like making resolutions, even if I don’t end up achieving all I hoped for. Life sometimes gets in the way and that’s totally okay. My main resolution of 2016 was to give up plastic. If you’ve read my end of year report, you’ll see the results were varied. It was a big thing to take on, as it turns out! Whilst I want to continue implementing what I learned over the last twelve months and go further with it in the future, I would also like a new project. One that I can preferably write about on this blog. I’ve found the answer in the form of backyard travel. 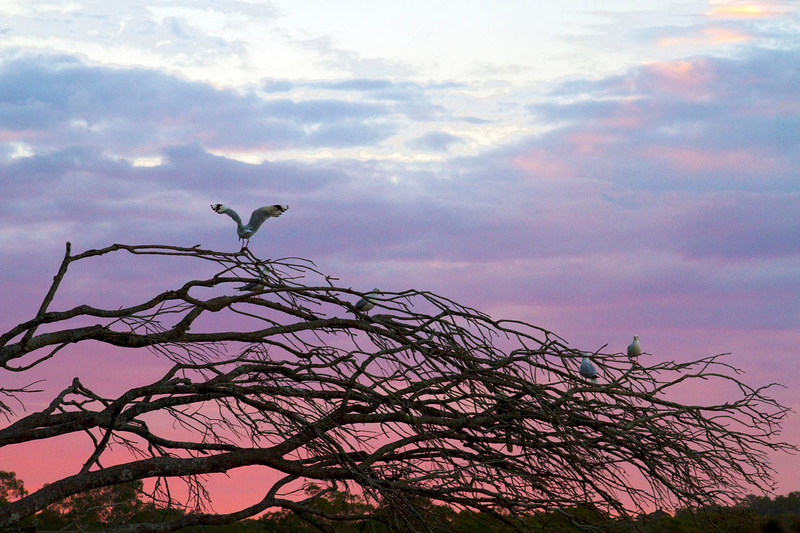 Seagulls hanging out in Lake Macquarie. I travelled to 21 countries last year. That’s an awful lot of places covered in a very short space of time. And although I had quite a good year in the end, when I look back on it, I feel a wave of exhaustion wash over me and that’s not entirely fun. I mean, I slept for around 14 hours coming into 2017. I think that alone speaks for itself. Contrary to last year, I want to take a big step back on travelling and enjoy living in Australia for the first time in almost three years. And while there are places quite nearby that I would be quite eager to travel to (like finally setting foot on South East Asia), I want to spend the majority of this year exploring Australia – my own backyard. All 7,692,000 square kilometres of it. I jest. But, I do want to see as much of Australia as is humanly possible, over a year of part-time travel. 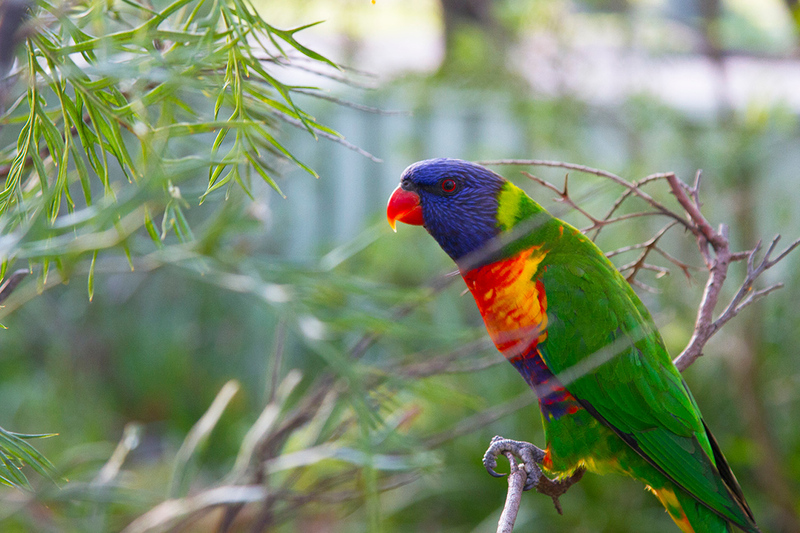 Ideally, this year will feature a lot more Australia birds, like this Rainbow Lorikeet. Apart from what I’ve already done in the last couple of months (which I’m counting) I couldn’t be entirely sure. Surprises are fun, so it’s kinda nice to keep things loose. In exciting news, I’m moving to Melbourne later on this month, realising an eight year old dream at long last (it was easier to move to London than a ten hour drive south, it would seem). This opens up the potential of exploring two different states – as I’ll be living in Victoria, but will still have strong ties (family, friends, dogs, etc) in my home state of New South Wales. One destination that is definitely on the cards is Tasmania, which is quite possibly my favourite state in Australia. I’ve been to Hobart and Launceston (and the small village of Lower Crackpot, teehee). I’d love to catch the boat from Port Melbourne to Devonport and go driving around the island. What a great trip that would be. There are so many other places I’d love to visit in my country. Port Douglas, the Daintrees, Cape York, Broken Hill, Katherine, Perth. It’d be grand to return to Darwin and the Blue Mountains. I’d love to see the Great Barrier Reef again, especially when Australia’s government are so intent on destroying it. Apart from physically travelling to destinations around Oz, I want to get to know the country a bit better. I want to camp, glamp, road trip, bush walk, bird-watch, kayak. Visit places of historical importance. Read more books by Australian authors. Watch Australian films. Listen to Australian music. Collect Australian paraphernalia (which is fortunately in vogue right now). In short, I want to celebrate my country, for however long I’m on its shores, this time around. 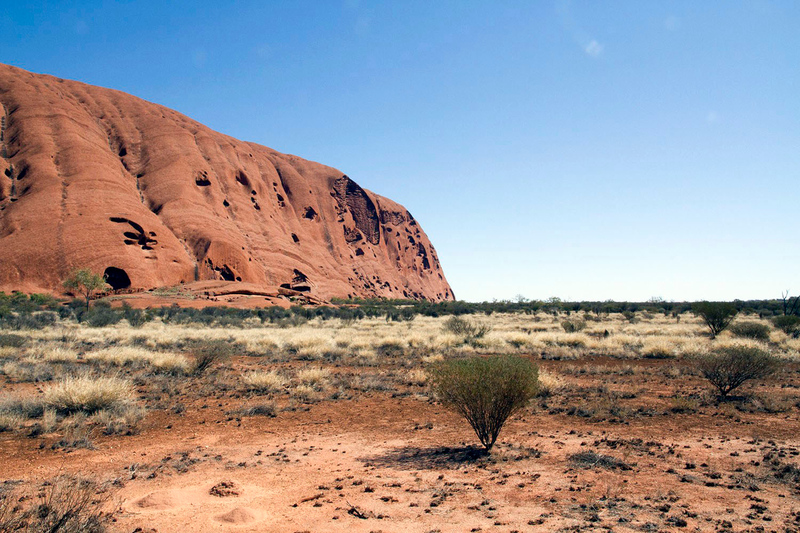 I’d love to visit the outback again. As well as blogging about the Land Down Under, I’ll be posting about it on social media, because internet. I think I’ve sort of got the hang of using Facebook for a blog, so please give the page a like and follow for updates. Let’s all get involved! Feel free to stick up photos of your own backyard over the year – whether that be where you’re living as an expat, or your own native country. If you’re in Oz – use the hashtag #MyBackyardOz, or the generic #ExploreYourOwnBackyard. Feel free to tag me in it, on Twitter or Instagram. And as a side note, I won’t be blogging solely about Australia over the course of the year – my editorial calendar is teeming with a range of posts, about the destinations I visited last year, plastic-free travel, books and the like. I look forward to sharing them with you over the next twelve months. Are you a fan of backyard travel? Like this post? Stick a pin in it! Ahh my travel resolution is literally exactly the same!! Even published a post on the same topic this morning, except my backyard is the UK as opposed to Oz! I think it’s so important not to overlook what we have right in front of us. Exactly! Ha, my resolution was to see more of the UK last year, but I failed miserable. Luckily it’s much harder to jet off to places from Oz than it is from London. Good luck with your project. I’m so excited for you! That sounds like an amazing year ahead. I would love to come and visit you in Melbourne. Both Melbourne and Tasmania are on the top of my list of places to visit in Australia, but don’t think 2017 is the year. You never know though 🙂 Anyway, can’t wait to read all about your future & past adventures! If you did come this year, it would be most welcomed! Either way, we should coordinate being in Oz together so we can go on an eating tour. Melbourne and Tassie are both good for that! Everyone has a travel resolution, haha. Haha I guess we would have to, as travel bloggers! It’s grand, hope you get there one day. It sounds like 2017 will be a great year for you. We want to travel more as well. Let’s see where this year takes us. Thanks. Yes, let’s hope both our ambitions come to fruition! But this is we are going to slow travel for long periods… SE Asia to begin with, and then probably start a new expat adventure. We actually just wrote about it. Haha thanks! Good luck with your year of slow travel and upcoming expat adventures! Looking forward to reading about them. It’s hard when your home countries are as big as ours are! I’m definitely considering Tasmania this year for travel. But want to travel to 2 more countries along side it. What would you recommend? Not a lot of choice here! Have you considered anywhere like Fiji, Vanuatu, New Caledonia and the like? Or NZ, I guess! We’ll be there end of January and I only know three people there, haha, so that would be nice. Fingers crossed that your partner’s job outcome is a positive one.